(Crowner John Series No. 6) It is May of 1195 and Sir John de Wolfe is summoned at dawn to inspect a corpse found in the Exeter Catherdral precinct. Aaron of Salisbury is a Jewish money-lender whose head is enveloped in a leather money bag. He has a scrap of folded parchment in his hand which says "And Jesus went in the temple and overthrew the tables of the money lenders." What follows is a strange series of events with apt Biblical texts left at the crime scenes. Sir John sets out to find a literate Bible person in a population where only 1% of the people read or write. He thinks he has a homicidal priest on the loose. Book 6 in series. 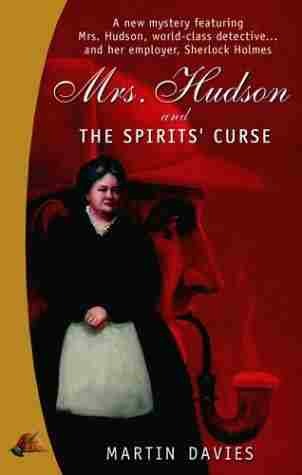 (Mrs. Hudson Series No. 1) Entering into service as housekeeper for the distinguished investigator Sherlock Holmes and his associate Dr. Watson, Mrs. Hudson expands her duties beyond keeping things tidy. The great detective's latest client is a traveler recently returned from the Far East-and nearly killed under mysterious circumstances. He says he's under a Sumatran curse that will end his life. While Holmes and Watson seek a less superstitious solution to the man's dilemma, Mrs. Hudson and Flottie, the orphan girl in her care, take it upon themselves to investigate the case. They are determined to solve the mystery-even if it entails pointing Mrs. Hudson's employers in the right direction. (Lord Francis Powerscourt Series No. 3) Death of An Old Master by David Dickinson This was a book I stumbled upon while browsing historical on Amazon and it looked good. It is 1899 and an exhibition of Venetian painters, Titian, Giorgione, Bellini, and Tintoretto has come to London. Shortly after the exhibition opens a critic, Christopher Montague is found garrotted in his study. Lord Francis Powerscourt, the discreet society investigator is called upon to look into the case and soon discovers that in the weeks before his death Montague had been working on a story that could have destroyed the exhibition and rocked the London art world. He said most of the painting on display were FAKES! Are they or aren't they??? Read on! (Daisy Dalrymple Series No. 12) Once again we meet Daisy Dalrymple Fletcher(#12 in this series) who has a date with someone we all avoid or at least hesitate to see, the dentist. Gathering up all her courage,and stiffening her backbone Daisy enters of office of Dr. Talmage and finds a waiting room empty and the exam room locked. Unfortunately Daisy's retreat is stopped by the nurse returning and with the help of Mrs. Talmage they begin a search for the doctor. They exhaust all rooms and finally open the examination room where they find him with a gas mask over his face, connected to a tank of nitrous turned on full, a smile on his face but unfortunately cold dead. Most think the death an unfortunate accident by a careless dope fiend except Daisy who determines to find out who killed the doctor. This should be a great way to relax after the kids are off to school and you have poured a second cup of coffee or tea. (Benjamin January Series No. 8) This one finds Benjamin and his wife discovering that the bank where they have their money has been robbed and the thief gone South. Without the money they cannot continue their school for young women of color and so the pair head South as the slave/servants of their friend, Hannibal Sefton. They board a riverboat and with slave runners, abolitionists, and other unsavory individuals so when their quarry comes up a corpse they don't know who to trust. This suspense filled novel is sure to interest you in Hambly's series. (Sheriff John Le Brun Series No. 1) After seeing an A&E program that featured the real Jekyl Island, I thought this would be a great fun read. The super rich: Morgan, Vanderbuilt, Gould, and Pulitzer, all gather at Jekyl Island for relaxation, pampering, seclusion, and deal making. When one of the members is shot in a "hunting" accident the other rich close ranks and then there is the unfortunate stabbing death, and just when President McKinley is due to visit the island to debate the country's plan to aquire colonies. Monahan has a deft touch with the foibles of the period. He works at capturing the black servants at the resort, and carefully details the mechanics of practicing medicine in 1899. He also develops the personalities of the real life tycoons while solving the mystery. (Tito Amato Series No. 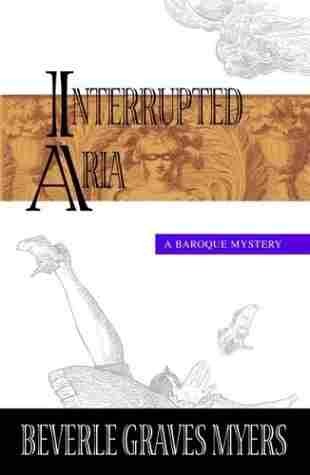 1) This is the first book in this series and it is a Baroque Mystery. The dazzling city on the lagoon is sailing toward the ruin of the maritime empire, determined to go down in a maelstrom of pleasure, music, and masquerade. Venice, 1731. Opera is the popular entertainment of the day and the castrati are its reigning divas. Tito Amato, mutilated as a boy to preserve his enchanting voice, returns to the city of his birth with his friend Felice, a castrato whose voice has failed. Diaster strikes Tito's opera premier when the singer loses one beloved friend to poison and another to unjust accusation and arrest. Alarmed that the merchant-aristocrat who owns the theater is pressing the authorities to close the case, Tito races the executioner to find the real killer. The possible suspects could people the cast of one of his operas: a libertine nobleman and his spurned wife, a jealous soprano, an ambitious composer, and a patrician family bent on the theater's ruin. With Carnival gaiety swirling around him and rousing Venetian passions to an ominous crescendo, Tito finds that the most astonishing secrets lurk behind the masks of his own family and friends. (standalone thriller) In Edinburgh, 1860s, Evelyn Todd,an orphan, at the Institute for Destitute Girls, spins fantastic tales of a lamplighter who passes her window nightly. These fantasies are strictly forbidden by the home's governor. They are almost forgtten when a man claiming to be Evelyn's father shows up and takes her away. Years later a wave of vicious killings stains the city's streets. Three men from very different worlds are led to Evelyn Todd, a woman now, who is haunted by dreams of the murders and a mysterious lamplighter. This trio of investigators use reason,intuition, philosophy, and luck in a hunt for the truth. This hunt will take you beyond the bounds of conventional detection. This is O'Neill's second book. (Akitada Series No. 2 [in currently published order]) Once again we meet Lord Sugawara Akitada, a minor government official, who has a knack of stumbling on to crime. He stops at a monastary to shake off the cold and get some sleep. He is not alone, there is a troupe of actors, a renowned artist, and a well dressed woman with a companion. 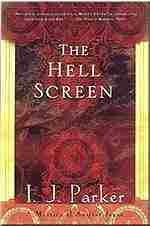 At the monastery he views "the Hell Screen" and that night his sleep is filled with horrific images and a bloodcurdling scream. Akitada wonders if it was real but when he explores in the morning all seems normal. It is not until he reaches his mother's that he is informed of a heinous crime that occured at the monastery. He can't resist investigating and you won't be able to resist going along with him. (Libertus Series No. 6) This one is for the Roman times fans. This is the 6th in the Libertus series. In this one the patron of Libertus is accused of murder of Gaius Praxus, military commander. The body is found in the vomitorium. Julia Delicta asks Libertus to help find the real murder and he ends up being accused of complicity. This lead Libertus on a series of adventures to unsavory places and people before he solves the mystery. (Judge Dee Series No. 1) The Chinese Bell Murders by Robert Van Gulik. This is first in series of Judge Dee Murder series. This book introduces Judge Dee the magistrate of the city of Poo-yang in ancient China. In the spirit of ancient Chinese detective series, Judge Dee is challenged by three cases. First, he must solve the mysterious murder of Pure Jade, a young girl living on Half Moon Street. All the evidence points to the guilt of her lover, but Judge Dee has his doubts. Dee also solves the mystery of a deserted temple and that of a group of monks' terrific success with a cure for barren women. This was suggested by several people on the list as very good and it is a departure from the normal series I have encountered so I thought we would give it a try. (Henry Morton Series No. 1) This book takes place in Regency London. The main character is Henry Morton, a Bow Street Runner. He is a large, lean man with dark inquisitive eyes and an independent mind. He is called to a townhouse at Portman Square because a hackney coach with no driver has just delivered a corpse. When one the of the female dinner guests falls over screaming in a faint after calling "Richard, oh Richard" the complications begin. For one thing.... the corpse is named Halbert Glendinning and has an impeccable character. He appears to have choked on his own vomit but Morton thinks it is poison. He is hired by the man's fiancee to find out the truth, but with the forensics of the Regency period being what they are he will find poison hard to prove. This begins Morton's romp through London from wellborn homes to the low places. Will he succeed? Read, and enjoy! (Jane Austen Mysteries No. 6) Jane Austen finds herself engrossed in a mystery involving murder on the high seas. She uses her wit and family ties to solve the mystery, knowing that somewhere in Southampton among a crew of colorful souls hides a killer who has come ashore. Her brother Frank, a post captain, is without a ship to command at the moment. His old friend "Lucky" Tom Seagrave is in disgrace, charged with violating the articles of war. He stands accused by his first lieutenant, Eustace Chessyre, in the murder of a French captain after the captain surrendered his ship. Jane reasons that one of the two men is lying and Frank is convinced that his friend, Tom, will be hanged for a crime he says he did not commit. The search for Captain Tom's honor takes them into the sinkholes of the area and finally into the Wool House -a barred brick structure that serves as a gaol for French prisoners of war. Jane risks life and limb and enlists the help of a debonair surgeon to try to clear Tom. Then.....oh horrors! Eustace Chessyre is found murdered. Will Jane save all? You will discover all when you read this intriguing and intelligently written novel. (Mr. & Mrs. Darcy Mysteries No. 1) Lizzie and her beloved Darcy (from Jane Austen's classic novel Pride and Predjudice) are all set for their honeymoon when dark plots, gothic threats, and Caroline Bingley entangle them in a mystery that demands to be solved. Caroline has become engaged to a rich American after a whirlwind courtship. Unfortunately her courtship has been marred by spooked horses, carriage accidents, and an apparent suicide attempt. Soon the whole Bingley family is involved. The Darcys must solve the mystery before the future bride takes a long dive of a short pier into madness. Will they???? Solve it that is. You will have to read to find out, so, curl up with a nice cuppa and immerse yourself in Jane Austen's world. (Standalone) Max Greengrass, a struggling reporter, stumbles across the story of a lifetime when he trips over the corpses of four cats, laid out ritualistically across a Greenwich Village sidewalk. As Max pursues this odd lead, from low dives to Fifth Avenue mansions, and then through the city's seething tenements, he unravels the ties between progressive preachers and the underworld they decry, and discovers the existence of a conspiracy to commit murder for profit under a fearful pretext — the "science" of eugenics. Inspired by a true story, The Midnight Band of Mercy prefigures the darkest crimes of the next century. (Molly Murphy Series No. 2) Molly Murphy has just settled down from her last encounter with murder and has made up her mind to be a private investigator, one who finds lost people. She plans on finding lost family members that have moved to America for family members in Europe. Paddy Riley has agreed to take her on as an apprentice even though he handles mainly divorce. One day Molly comes into work and finds that her plans to be an investigator are turned upside down and maybe up in smoke! Will she solve the problem? Read on!! (Joe Sandilands Series No. 1) Can 6 murders of six women over a period of several years actually be connected? Is it someone who knows them? What do the murders have in common? These are the puzzling questions Joe Sandilands must solve if he is to prevent the next victim's death. Joe has survived war and 6 months in English Calcutta where it is sultry, but can he successfully navigate the corridors of political intrigue in British India with British rule in decline. The Last Kasmiri Rose is a real page turner! Enjoy! (Irene Adler Series No. 6) Douglas' character Irene Adler receives an alarming letter from Elizabeth Cochrane aka Nellie Bly, an American journalist, that lures Irene and her naive companion, Nell Huxleigh to 1889 New York. While searching for clues to her dimly remember past,Irene is also hunting a serial killer who is rapidly eliminating all of those who have any knowledge of her past. Of course where Irene goes also goes Sherlock Holmes, her ally and sometime adversary. As you read Douglas lets you in on fresh bits about Irene's biography. The book is a carefully crafted caper with a delightful array of well-know historical and fictional characters. To help you with this book there is a reader's guide. Should help us with discussion too! I can't wait. Happy reading! (Katy Green Series No. 2) Rare manuscript theft, forgery, crooked land developers, the gangs of New York and a Chinese cellist in 1939 New York City! Swing musician Katy Green agrees to help a friend, a music conservatory teacher in New York’s roughest neighborhood, hunt for a stolen music manuscript. This rare and valuable autograph manuscript--perhaps a forgery-- of a Paganini guitar quartet has inexplicably vanished. What Katy first thinks will be the easy pursuit of a petty thief swiftly turns into a deadly fugue of greed, jealousy, and zealotry, and a fight for her life. Her fight to keep a Chinese cellist friend from being deported evokes 2003, but Katy’s in New York in 1939, before the Empire State Building has enough tenants, before all the subways have been built, when Hell’s Kitchen gangs shoot homemade linoleum knives at people. (Matthew Bartholomew Series No. 5) Matthew Bartholomew is a doctor of medicine and fellow of Michaelhouse College in Cambridge, with some inevitable conflicts between responsibilities and loyalties (his not altogether orthodox approach to medicine only makes this worse). The current story is set in 1353, after the worst ravages of the plague, but in a country still recovering from them physically, economically, and psychologically. Matthew is an unwilling participant -he has patients and students and research he should be doing- in a party from the college travelling to finalize the gift of a living and install their own priest. The trip itself is full of adventure, including the discovery of a body that only Matthew believes was still alive when they arrived and whose subsequent disappearance creates an opportunity for the sort of disparaging of his expertise in the light of his odd medical practices he's heard before. The journey ends, but their troubles don't, culminating in the murder of their young incumbant to the living. Matthew's investigations uncover the fact that his vanished corpse is not the only strange local death, with superstitions about plague curses running rampant. A practical man of science and reason Matthew doesn't altogether believe in such curses... at least he's pretty sure he doesn't. But what really IS going on? (Mamur Zapt Series No. 10) Why was the body put on the line? Chance? Or did someone want to halt the progress of the new electric railway out fom Cairo to the City of Pleasure being built in the suburbs? Was it another of Egypt's traditional revenge killings? Or had the murdered man somehow got caught up in the manoeuvrings of the sinister power groups jostling for position around the new railway? In this, the tenth novel in Michael Pearce's award-winning series, Old Egypt is pitted against New and in the middle is the Mamur Zapt. To answer these questions he has to look both in the luxurious quarters of the dazzling New Heliopolis and in the more humble houses of the dead man's village, and in neither place are things as straightforward as they seem. What is the significance of the tree of the Virgin? Does it matter that the gathering place for the Mecca caravan is only a mile or two away? And what of the ostrich that passed in the night? (Charlotte Dodson Series No. 1) In 1903, widow Charlotte Dodson's livelihood is threatened by sinister events that converge on the small Sussex village where she is housekeeper at a manor leased by a mysterious stranger. The credulous villagers whisper that a vampire is on the loose. A man famed for evil has escaped from Dartmoor Prison and is drawn to the area. The legendary Orb of Kezir is sought by one who wants the fabulous jewel at all costs. And the mysterious Mr. Sigerson is somehow linked to these events. Charlotte finds herself at the center of a black conspiracy, and the man she comes to know as Sherlock Holmes is the only one who can help her. (Moosepath League Series No. 1) It is the summer of 1896 and Cordelia Underwood finds a deed to a large parcel of land in the newly discovered sea chest of her late uncle. She and her family discover there might be a mystery surrounding her land that may hold the key to a two century old secret. Along with this Cordelia meets the Pickwicklike figure of Mr. Tobias Walton. Mr. Walton has returned to Portland after many years of travel. Along with these two figures you will encounter old salts, bootleggers, tellers of tales, grande dames, and prospective beaus and solve a mystery! Enjoy!